Home » Common Health Questions » How long does Flexeril stay in your system? What is Flexeril? What is Flexeril used for? 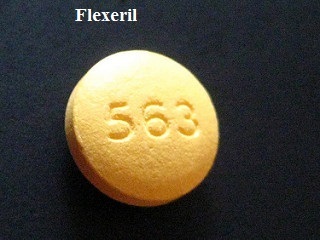 Flexeril is a Brand name for a muscle relexant medicine containing Cyclobenzaprine as an active ingredient. Chemically it is related to the class of antidepressants known as tricyclic antidepressants. It acts by blocking nerve impulses transmission and thus pain sensations that are sent to your brain. Flexeril is usually used in combination with rest and physical therapy to treat skeletal muscle conditions such as strains, sprains or other injury. It is available in the form of a tablet or extended-release capsule to be taken by mouth. Flexeril is also prescribed off-label for the treatment of fibromyalgia. It should only be used for during a period of 2–3 weeks. Because no benefit is showed beyond that, therapy should not be used for a long-term. It is not useful for spasticity due to neurologic conditions such as cerebral palsy. Cyclobenzaprine was first approved by the FDA in 1977 under the brand name Flexeril, currently manufactured by PD-RX Pharmaceuticals. How does Flexeril works in the body? Like other tricyclic antidepressants, most similarly to amitriptyline, cyclobenzaprine shows anticholinergic activity, potentiation of norepinephrine, and reseprine antagonism. This drug does not directly exhibit its actions in neurotransmitter synapses or the muscles but easy off muscle spasms via central actions, possibly at the brain stem level. Cyclobenzaprine binds to the serotonins 5-HT2 receptors and is considered as antagonist that works by reducing muscle tone by decreasing the activity of descending serotonergic neurons. Animal studies has been found that cyclobenzaprine acts primarily within the CNS at the brain stem reducing tonic somatic motor activity, influencing both gamma and alpha motor systems. Will flexeril show up on a 12 panel drug test? No, Flexeril can’t show neither on 5 nor 12 panel drug test. If you have to be tested on standard urine drug test, blood test or saliva test, Flexeril will not show up. However, it can show up as an antidepressant drug, but only if it is specifically tested for. In this case, you will be subjected for a special toxicology test, and after that Flexeril would show up as positive as an anti depressant. How long does Flexeril stay in your system – Blood, Urine, Saliva, Hair? 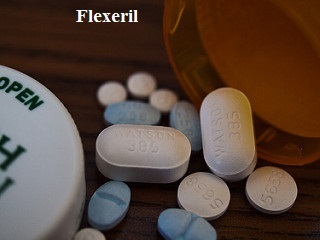 If Flexeril is discontinued abruptly after chronic, long-term use, it is likely to experience some potent Flexeril withdrawal symptoms. If it is used occasionally for less than 2 weeks, discontinuation effects shouldn’t be noticeable. All effects that you may experience after Flexeril discontinuation it are related on how long it stays in your system. To determine how long Flexeril stays in your system after complete discontinuation, it is needed to consider its average elimination half-life which is 18 hours. According to this most patients using Flexeril should eliminated this drug from systemic circulation in around 4.13 days after administration of their final dose. However, it is also necessary to bear in mind the fact that elimination half-life time can vary from 8 to 37 hours from patient to patient, indicating that there is important interindividual variability related to excretion. So, in case of fastest elimination half-life time of 8 hours, it can be expected the drug to be completely eliminated from your system in around 1.83 days. On the other hand, those who have slowest elimination half-life time of about 37 hours, it can be expected the drug to be completely eliminated for 8.48 days. According to that for a vast majority of users, elimination will take between 4-5 days after discontinuation. Factors that may influence how long Flexeril stays in system? Although most patients will eliminate Flexeril from their body in just 4 days after final dose is taken, findings suggest considerable interindividual variability in elimination times. Factors that may influence the elimination speed differences may include: individual factors including: age, weight, liver/renal function, genetics, metabolic rate, hydration, urinary and gastrointestinal pH, frequency of use, dosage and co-administration of other drugs. How age may influence Flexeril elimination? Elderly individuals tend to eliminate drugs from their body at a slower rate than younger adults. This is because of the fact that elderly has poorer physiologic function. Additionally, elderly often have weaker renal function, compromised hepatic function, or lower concentrations of plasma proteins. This may result in enhaced Flexeril pharmacokinetics including plasma concentrations, distribution, and elimination speed. The extended elimination half-life of Flexeril in elderly patients may also be caused by reduced hepatic blood flow, health problems and polymedication, and/or decreased overall physiologic functionality. Some findings suggest that concentrations of Flexeril in steady state are closely 2-fold in elderly compared to younger adults when 5 mg doses are administered three times daily. As a result of the plasma concentration elevation by 2-fold, it can be expected that elimination half-life is probably prolonged among elderly patients. It is expected that young and healthy adults will eliminate the drug in an expected amount of time of about 4 days compared to elderly who may need longer time for more than 8 days. It has been also found that elderly males are more likely to eliminate the drug in a slower rate than elderly females. Plasma concentrations of Flexeril in elderly males are expected to be increased to 2.4-fold compared to younger adults, while concentrations among elderly females only increased to 1.2-fold by comparison. Thus old age may mostly affect males, whereas females may be less affected. How body weight and height (body mass) may influence Flexeril elimination? Your height or weight correlated with Flexeril dose you take may influence elimination of this drug. Usually the greater Flexeril dose is taken and the lower is the body mass, the longer will drug stay in the system. The lower the dosage of Flexeril is taken, and the greater is body mass, the shorter it will stay in your body after administration. Thus, if you are a larger individual with bigger BMI and are only taking the minimal dose you will likely clear the drug faster from your system than lower-weight patients using the same dose. This is because there is less of an exogenous chemical within your body relative to the size of it. How percentage of body fats may influence Flexeril elimination? Obese patients may eliminate the drug faster than those with less body fat due to altered disposition. How genetics may influence Flexeril elimination? Genes may have big impact on the hepatic metabolism of Flexeril, eventually affecting its elimination speed. Patients who have certain alleles on genes related with CYP1A2, CYP3A4, and/or CYP2D6, the metabolic reaction of N-demethylation of Flexeril may be enhanced resulting in a prolonged elimination half-life or accelerated elimination half-life depending on the expression of specific alleles. Since the majority of Flexeril is eliminated by the kidneys, genes that regulate hepatic enzyme function may not have a significant impact on Flexeril elimination. How hydration may influence Flexeril elimination? Keeping acceptable hydration may be helpful for elimination of certain drugs. Since Flexeril is eliminated via the kidneys, and hydration may accelerate renal excretion, staying hydrated could simplify optimal or faster than average excretion of Flexeril metabolites. Understand that hugh hydration is never recommended, but adequate hydration may utilize renal excretion. How activated charcoal may influence Flexeril elimination? Since Flexeril is slowly absorbed, activated charcoal may be used in the event that a person regrets taking Flexeril and/or needs it out of their system. The charcoal binds to the drug through adsorption and prevents it from circulating in the body. Even if you’ve fully metabolized your final dose, charcoal may help clear up any leftovers of the drug or other endotoxins from medication usage. How metabolic rate may influence Flexeril elimination? It is important to know that a person’s pre-medication basal metabolic rate (BMR) can have indirect effects on drug clearance. In general, those with higher pre-treatment metabolic rates are supposed to eliminate the drug faster than those with lower pre-treatment BMRs. Baseline BMR is unlikely to make a huge difference in clearance speed, but even a tiny difference should be considered. How liver function may influence Flexeril elimination? Patients with hepatic impairment are reported to have 2-fold greater plasma concentrations of Flexeril than those with normal liver function. As a result of these increases in plasma levels of Flexeril, the elimination is often significantly prolonged. Patients with hepatic disorders aim to experience downregulation of CYP450 isoenzyme function that may lead to a reduced metabolism of Flexeril. Furthermore, renal issues may also prolong Flexeril and its metabolites excretion. How renal function may influence Flexeril elimination? Patients with reduced kidney function may experience accumulation, reabsorption, and recirculation of the drug before complete elimination, thus slowing elimination. Usually the greater degree to which a person experiences renal impairment, the longer the drug will remain in their system. How the dosage may influence Flexeril elimination? The greater the dosage of Flexeril is taken, the longer can be expected that the drug will remain in the body after discontinuation. Most patients are prescribed to take Flexeril at dosages of 5 mg, 3 times per day. If they fail to respond to 5 mg, the dosage may be increased to the dose of 10 mg three times per day for increased potency. If daily sums of ingested dosages are compared, the patient using 5 mg three times per day, they will intake a total of 15 mg, while a patient taking 10 mg three times per day will have intake a sum of 30 mg. Smaller dosages are always easier for the liver proper function to metabolize and for the kidneys to excrete since there’s less amount of an exogenous substance to process. Those who are taking 30 mg may excise their hepatic enzymes to a higher degree, which may result in slightly impaired metabolism of the drug. Moreover, the liver may be powerless to excrete the metabolites with higher efficiency because there were a greater number formed. With increased numbers of metabolites and a greater amount of the drug to excrete, the efficiency of renal excretion may weaken. How the frequency of use may influence Flexeril elimination? When calculating how long Flexeril stays in your body after discontinuation of therapy, it is necessary to consider how often it is used as well as the total time length over which is used. The more frequent Flexeril is used it is more likely to remain for a longer time in your body after discontinuation. Flexeril is known to accumulate to a considerably greater degree within plasma when used 3 times per day, compared to when it is used just once per day in a single dose. Findings showed that when Flexeril is administered 3 times per day, plasma levels are nearly 4-fold that of single-dose administration. Moreover, those who are using Flexeril 3 times per day are known to reach steady state plasma concentrations within 4 days. On the other hand, individuals taking the drug just once per day may not reach steady state concentrations, causing the drug to be eliminated at a faster rate because less is “accumulated” within the plasma. Those using Flexeril 3 times per day should take longer to eliminate it than those taking it 2 times per day or just a single daily dose. In addition to the frequency of use, it is necessary to consider the time period over which you’ve been taking Flexeril. Those who taken the drug 3 times per day for only 2 days should excrete the drug faster than someone taking it at an equal frequency for 5 days. This is because those who used drug for 5 days will reach peak concentrations of the drug. Therefore among high frequency users, it may be necessary to account for duration of usage when considering elimination speed. How the coadministration of other drugs may influence Flexeril elimination? Drugs that have impact on CYP liver enzymes may interact with Flexeril and have indirect impact on its elimination. Since Flexeril is metabolized by CYP3A4 and CYP1A2 isoenzymes and to a small amount with CYP2D6 enzymes any medicine that decreases or enhances function of these enzymes will affect how fast it is eliminated. Drugs classified as inhibitors of CYP3A4 liver enzymes are known to interfere with their function. These drugs may inhibit Flexeril metabolism eventually prolonging its elimination. Examples of common CYP3A4 inhibitors include: Ketoconazole, Chloramphenicol, Nefazodone, Saquinavir, Ritonavir, Telithromycin, and Tlarithromycin. Oppositely, drugs known as CYP3A4 inducers are known to enhance function of CYP3A4 enzymes. CYP3A4 inducer enhances the metabolism of Flexeril resulting in faster elimination. Examples of common CYP3A4 inducers include: Butalbital, Efavirenz, Modafinil, Carbamazepine, Nevirapine, Phenobarbital, Quercetin, Oxcarbazepine, Rifabutin, Rifampicin, and St. John’s wort. Understand that CYP1A2 inducers/inhibitors may also impact the pharmacokinetics of Flexeril to a certain degree, thus influencing excretion speed. How to flush flexeril out of your system? Discontinue the therapy with Flexeril. This should be only done with your doctor monitoring because abrupt discontinuation may cause withdrawal effects, if drug is used for a long-term. Activated charcoal. Since Flkexeril has slow absorption, activated charcoal may be given in the event that a person regrets taking Flexeril and needs it out of their system. The charcoal works as adsorbent and prevents it from circulating throughout your body. Calcium-D-Glucarate. This supplement may help your kidneys to excrete toxins that have been accumulated in detoxification pathways. It works as a beta-glucuronidase inhibitor allowing the kidneys to eliminate waste and accumulated material faster. Hydration. Flexeril is excreted via the kidneys, so good hydration may facilitate renal excretion. However, overhydration is never recommended, but adequate hydration may aid renal excretion. CYP450 inducers drugs. Taking a liver enzyme inducer drug such as CYP3A4 and/or CYP1A2 inducer may promote a rapid metabolism of the parent cyclobenzaprine to form metabolites and be more faster eliminated.